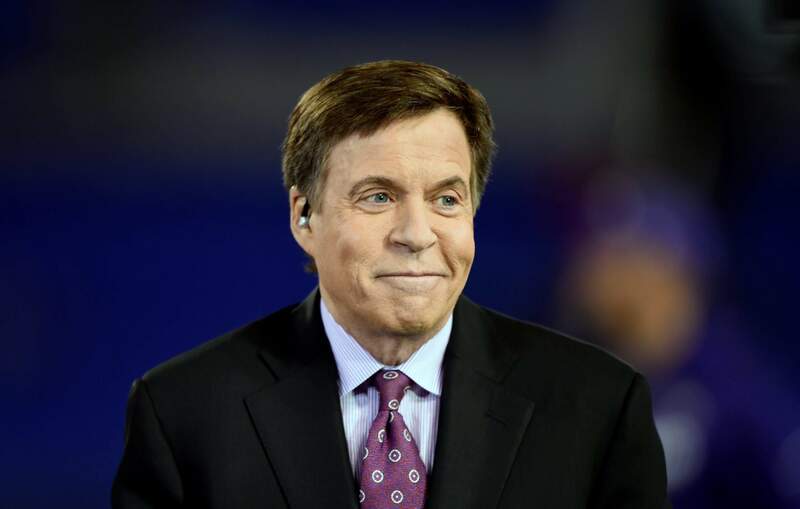 Sportscaster Bob Costas sits and NBC parted ways after a 40-year partnership. Just by the sound of his voice or the sight of his face, a televised sporting event took on extra significance. It was time to drop what you were doing and pay attention to the screen; there was something worthwhile going on, and Bob Costas was here to put it in perspective, his familiar voice narrating sports moments you’d remember all your life. There are no hard feelings, he’s said, and no animosity. “It’s all settled quietly and happily for all concerned,” Costas told the New York Post this week. “Everything in this transition was planned and done (by) mutual agreement,” his agent, Sandy Montag, said in an emailed statement to The Associated Press. Costas, at 66, is now free to contemplate what comes next, ideally “something that is a hybrid of his HBO show and ‘Later’ (his former NBC show),” as he told the New York Post. That would free him to become more of an elder statesman, a reasoned voice in a sports world dominated by hot, often silly and misguided, takes. Costas could have the luxury of time. Costas, who joined NBC Sports in 1979, has been the Zelig of televised sports, hosting Olympic coverage 11 times and broadcasting the Super Bowl, the World Series, the NBA Finals and the Triple Crown. He was inducted into the broadcasters’ wing of the Baseball Hall of Fame last summer. His last Olympics work was in 2016 in Rio de Janeiro and, when Mike Tirico moved into a “Football Night in America” role preceding “Sunday Night Football” games last season, Costas stepped into a different role for the network, similar to the one Tom Brokaw has occupied in NBC’s news coverage. No longer confined merely to television, he might find a new platform, one that would free him to “pursue a journalism show that includes news-making interviews and commentaries,” as he told USA Today last summer. The reach of such a platform could extend beyond sports. He would be free to speak freely about controversial topics, as he did after the Chiefs’ Jovan Belcher was involved in a murder-suicide in 2012; Costas then delivered a much-discussed prime time commentary about gun control. He later regretted it, not because of the content, he’s said, but because 90 seconds wasn’t enough time for thoughtful commentary.